The US has responded with a powerful SOS for reporters, setting in motion a model for similar protections worldwide. SOS stands for Sod Off Schillings. The new American legislation will make it impossible for practical purposes for Russians to attack American reporting of their activities by suing them or their newspapers in London. Russian businessmen who have made use of the London courts in this fashion include Mikhail Khodorkovsky, Alisher Usmanov, Roman Abramovich, Sergei Frank, Gennady Timchenko, Sergei Generalov, Alexander Lebedev, Nikolai Gluchkov, Boris Berezovsky, and Oleg Deripaska. The London-based law firm of Schillings has made a great deal of money issuing threats to stop publication of investigations of the likes of them. On August 10, President Barack Obama signed into law the “Securing the Protection of Our Enduring and Established Constitutional Heritage Act”, known for short as the SPEECH Act. This law puts an end to current threats by the London law firm Schillings against US journalists and media reporting on Oleg Deripaska and his United Company Rusal. Deripaska himself has fought to stay out of the UK courts in cases involving corruption in Tajikistan and the theft of Rusal shares from Deripaska’s former patron and partner, Michael Cherney (Mikhail Chernoy). Trial in the Cherney case has been ordered by the UK High Court and the Court of Appeal. The operational part of the law compels anyone who thinks he will win under the UK’s libel rules to litigate all over again the same issues in US courts under US libel laws and the protection of the Free Speech Amendment of the US Constitution. 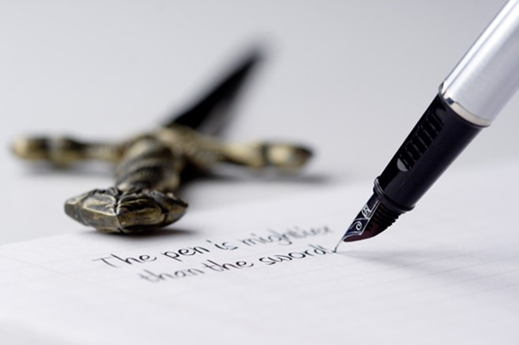 This shifts the burden of proof of error or fault to the plaintiff. Russian oligarchs have been ruled by American judges to be public figures and open to publication of wide-ranging opinion, comment, jokes, analysis, and conventional reporting. No libel actions have been won by major Russian businessmen in the US courts. Schillings will still be able to offer clients high-cost court proceedings against reporters and their publishers. But if the targets are US citizens, they can safely ignore the threats, avoid costs in the UK, and skip the court case entirely. For the new Act blocks enforceability of any UK court ruling against a US journalist unless the lawyers and their clients enter the US courts. In January this year, a threat to sue from Christie-Miller, acting for Rusal, persuaded the London Evening Standard (editors Doug Wills and Christopher Blackhurst, owner Alexander Lebedev) to retract what the Moscow police, the Federal Security Service, and western intelligence agencies knew to be the accurate about a Rusal plan of attack against a reporter. Private Eye, also a London publication, published the story without regard for Schillings. Three months later in Australia, similar lawyer threats were used to persuade The Australian and other papers not to risk the costs of defending lawsuits initiated by Deripaska. Members of the Australian Parliament are planning their own new measures to protect Australian reporters. It is anticipated that the Australian Department of Foreign Affairs and Trade (DFAT) will insist on its exemption from an Australian version of SPEECH, preventing disclosure and prosecution of acts of murder, assault or attempted attacks on Australian reporters if they are committed by the Indonesian Army, or by Russian businessmen with investments in Australia. 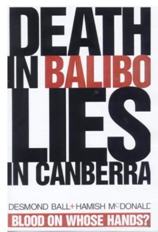 The attempt of the Australian foreign ministry to protect its right to lie and cover up for murder of Australian journalists has been exposed since the killing of five Australian reporters at Balibo, in East Timor, in 1975 (see image). The Twomey Exemption (TEMPT) is named after Margaret Twomey. She was Australia’s ambassador in East Timor when the investigations into the Balibo coverup were underway. She has been ambassador in Russia during the coverup for Rusal.